Inverted Research Microscope Eclipse Ts2R | EINST Technology Pte Ltd. Using these innovative optics and a fly-eye lens, crystal clear fluorescent images with improved S/N ratios are possible, even in low-excitation light applications such as cell division. Additionally, even at low magnifications, the SMZ25 microscope has a 35mm F.O.V, allowing users to capture an entire 35mm dish with uniform brightness. * Comparison with Nikon’s Eclipse Ti Inverted Research Microscope. 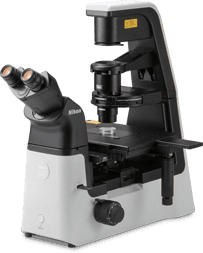 Optical accessories, such as DIC components, achieve the same performance standard as Nikon’s Eclipse Tiinverted research microscope, providing exceptionally clear, sharp images.